Moreover, China is an authentic economic powerhouse. It’s one thing to post double digit annual GDP growth from a small base; it’s an entirely different matter to do so at critical mass. According to the IMF, China’s GDP in U.S. dollars in 1980 was $304 billion. 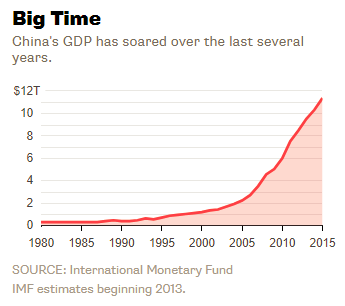 The IMF estimates that China’s GDP in 2015 will be $11.4 trillion, roughly the size of the U.S.’s GDP in 2002! A decade ago no one expected the U.S. economy to grow at rates currently demanded of China. It’s time to welcome China to the big leagues, and to stop pretending that its growth and stability should resemble those of an emerging market. Here again, we have to be careful not to confuse yesterday’s China with today’s. Looking to IMF data, China’s inflation rate averaged 4.5 percent annually from 1990 to 2014. That is consistent with a fast growing emerging economy. During the five years ahead, the IMF estimates an average of 2.4 percent annually, which is consistent with a mature economy. Similarly, real productivity averaged 8.8 percent annually from 1990 to 2014, but is expected to be a more modest (but still enviable) 5.7 percent annually over the next five years. Finally, a realistic long term dividend yield is one that resembles that of large companies in a mature economy — I would say 2 percent. 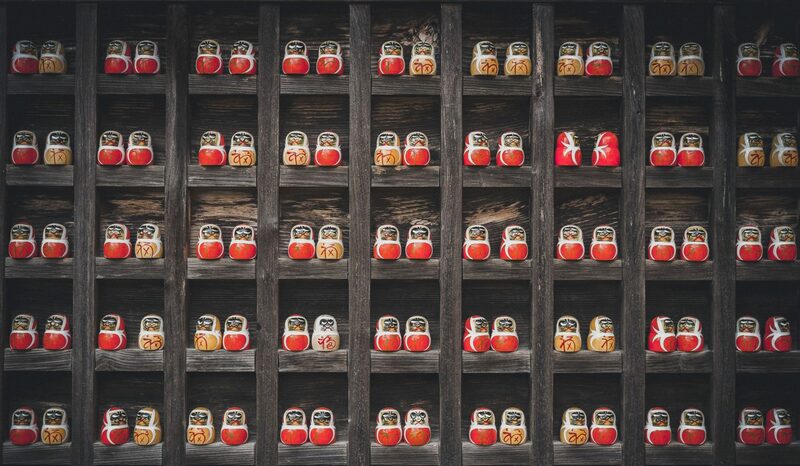 The sum of these three variables, 10.1 percent, is both the long term annual earnings growth and total return on investment that investors should demand of Chinese companies from today’s vantage. The inverse of 10.1 percent implies a fair value P/E of 9.9. Now let’s look at how China is currently priced. But which China should we price? Should we look at the universe of Chinese companies owned by Chinese investors (A shares), or those owned by everyone else (H shares)? The question is far from trivial. The H shares, as represented by the Hang Seng Index, trade at a 9.4 P/E, while the A shares, as represented by the CSI 300 Index, trade at a 14.6 P/E. There is another difference. Current profit margins of A shares are 19.6 percent higher than their average since 2006 (a full business cycle), whereas those of H shares are only 7.2 percent higher. This suggests that China’s feared slowdown has already meaningfully compressed the profitability of H shares, but not yet the profitability of A shares. And when earnings are normalized to reflect cyclically adjusted profit margins, A shares jump to a 17.5 P/E, whereas H shares barely budge to a 10.1 P/E. Much of the feared China slowdown therefore appears to already be reflected in the fundamentals and stock prices of Chinese companies available to U.S. investors. With a P/E of 10.1 for H shares, a credible case can be made that the valuation already fully reflects investors’ fears about continuing economic weakness. I see no case for selling China’s H shares at current levels, even if we assume that those fears will be realized. China is a good, long-term play and much of the worry about its economy right now is noise. Next PostNext Don’t Worry. Just Diversify.